Working out what to do with your hair on a breezy day can be difficult, because many styles simply do not hold up to strong winds. The next time you are stuck for a style on a blustery day, take your pick from one of these ten looks. The Reverse Braided Bun does look like quite a complex hairstyle to master, but it is actually quite simple, consisting of a mixture of a standard bun with a French braid. This style gathers all of your hair up and holds it in place, keeping it steady during strong gusts of wind. To begin with, flip your hair forward over the front of your head, and then divide it into three sections at the nape of your neck. 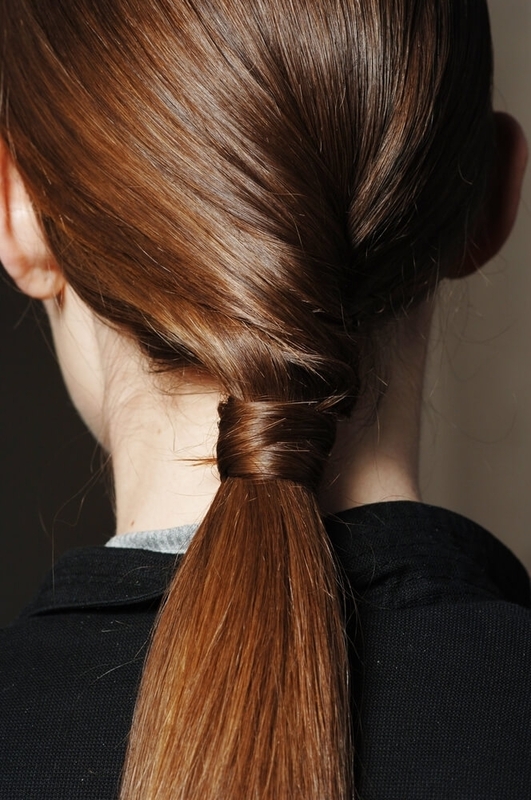 This will form the foundations for your French braid. Using the French braiding technique, braid your hair until your reach the crown, and then use a hair tie to tie this braid off. Stand up straight, so that your hair falls down your back again, and then gather this into a high ponytail, making sure that the top of this is level with the top of your French braid. Begin twisting your hair, so that it wraps itself around the base of your ponytail, and then tie this together with a hair tie. 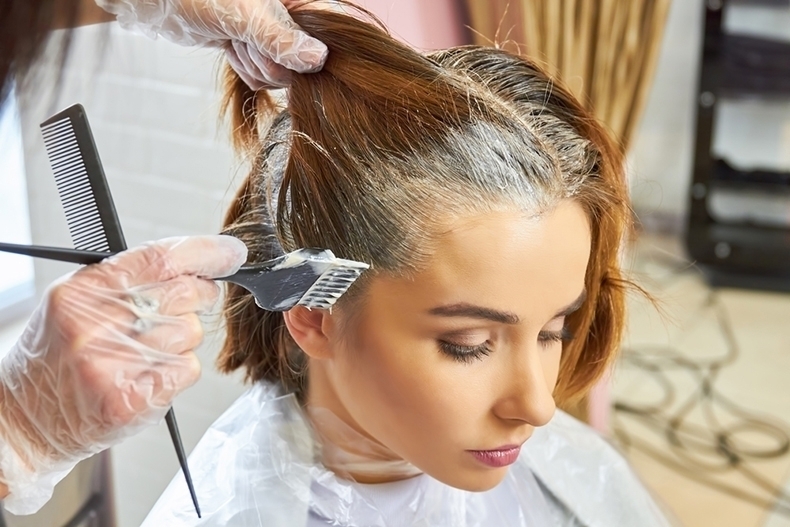 You then have the option of either leaving your bun slightly messy, with a few flyaway strands, or neatening it up if you would like more of a polished finish. Want to mix it up a bit? 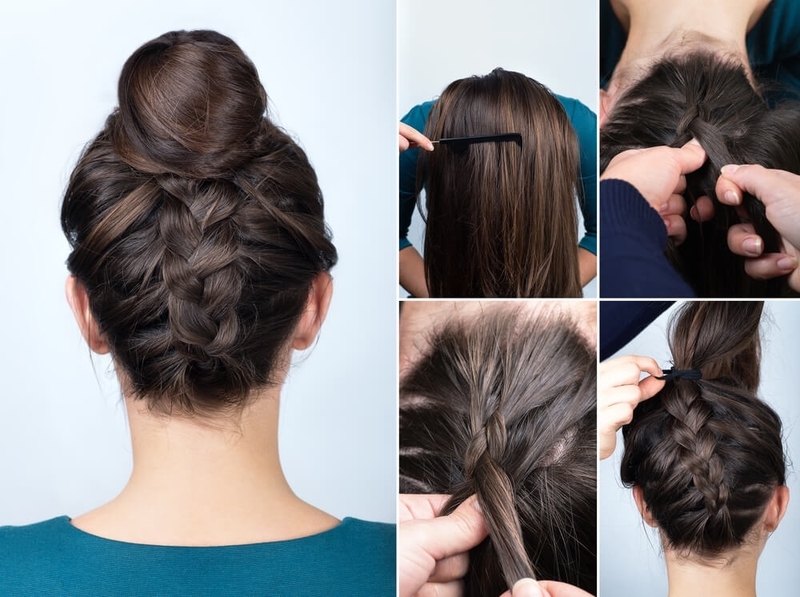 Try switching up the basic technique to incorporate a Dutch braid and a donut bun instead. Braids in general are great for keeping hair in place on a breezy day, but a side braid adds a romantic, feminine twist to a standard braid. Side braids come in so many different shapes and forms, but, to begin with, you need to decide whether you want to part your hair down the center or on the side. If you are still perfecting your braiding skills, it would be worth starting off with simpler braids, waiting until you have more practice before attempting the more complex versions. The tighter your braid is, the stronger it will be on a breezy day, so do not opt for braids that are too loose and messy, as the wind will contribute to this anyway. 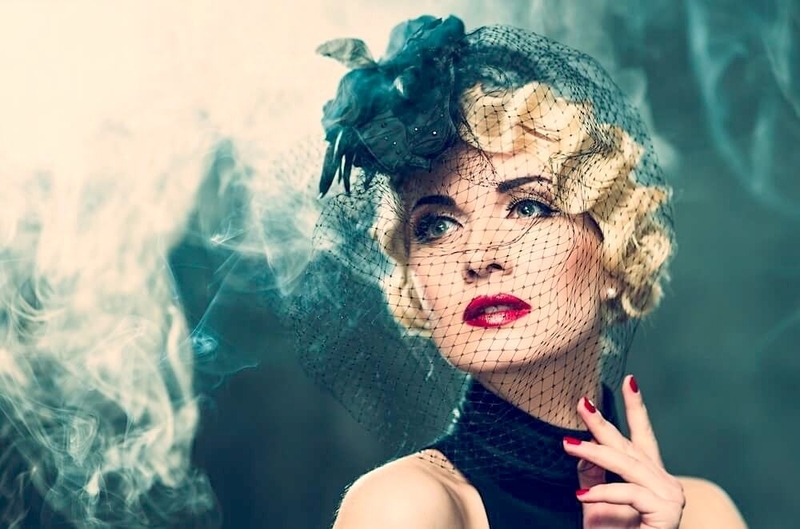 Hats are the perfect accessory for breezy days, especially tighter-fitting styles, as these will help you to have some form of control over your hair. Sleek and straight is always a good way to go, and when paired with a knitted beanie, should not be too affected by the wind. Alternatively, reach for your curling iron and create some large, bouncy curls. 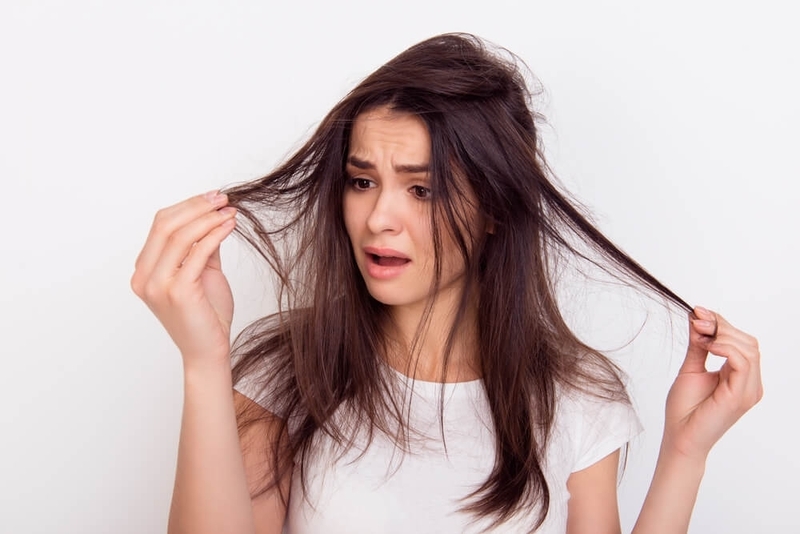 These will have great body and movement as the breeze rustles through them, but do not forget to apply plenty of hairspray to keep your locks in place. Love wearing hats, but hate having to deal with hat hair? Knotted ponytails add a chic twist to standard ponytails, making them look much more sophisticated, but are actually so easy to create. To begin with, part your hair into three sections, making the middle section slightly thicker than the other two. Because this is the section that is going to form the bulk of your ponytail. Next, gather the middle section up into a ponytail and tie to secure. The height of the ponytail is completely up to you, as this look will work with just about every ponytail out there. Then, take the two outer sections of your hair and bring them in towards the middle, taking them over the top of your ponytail, so that they cross each other. Tie this into a knot, hiding the ends of the knot underneath your ponytail. 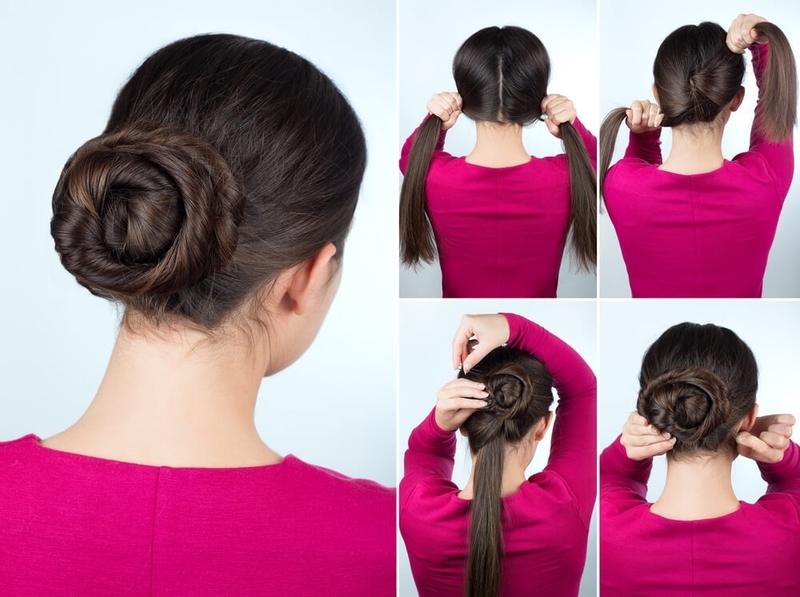 Buns are great for a windy day, and, the tighter the bun, the longer your style will hold. This twisted bun is perfect for giving your standard bun a bit more character, and can be worn for just about any occasion. It is usually best to begin with straight hair for this look, so apply some heat protecting spray before giving your hair a straighten. Part your hair down the center, and then tie these two pigtails into a knot, using bobby pins to hold them in place. Repeat this step, but twist in the opposite direction, with the remaining section of hair. Tuck the ends under your bun, securing with more bobby pins, before finishing the look with a spritz of hairspray. High ponytails are classic, and do not require much of an explanation. 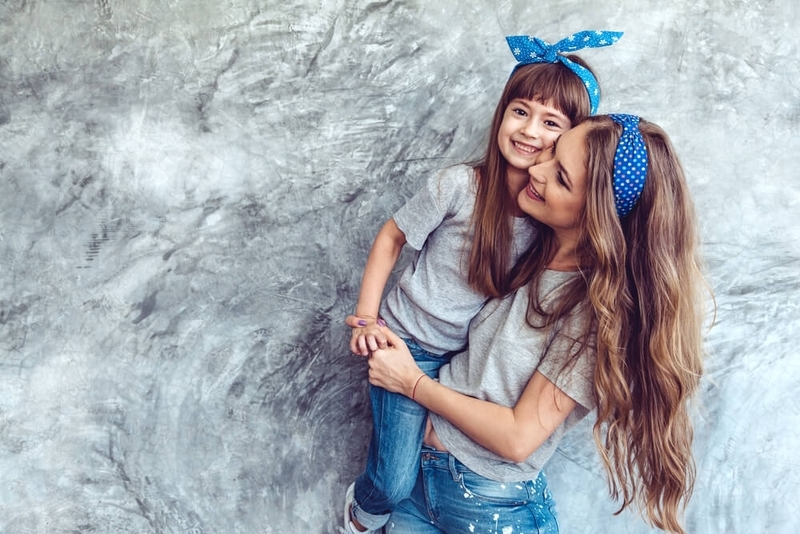 Scarves are a go-to accessory in the blustery months of fall and winter, but, rather than putting one around your neck, how about tying one through your hair instead? This will not only give your head some extra warmth and protection, but will also help to hold your hair in place on a windy day. Wondering where to place your scarf? A retro knot is always a fun way to tie your scarf, and looks great when wrapped around the crown of your head, with the knot at the top. You could also try wrapping a scarf around a bun, giving it some extra flair. Since braids are such a great hairstyle for breezy days, you could double their strength by incorporating a scarf into them. Simply wrap a scarf around your head and tie this at your neck, before including the rest of it in a braid with your hair. Want something a bit simpler? 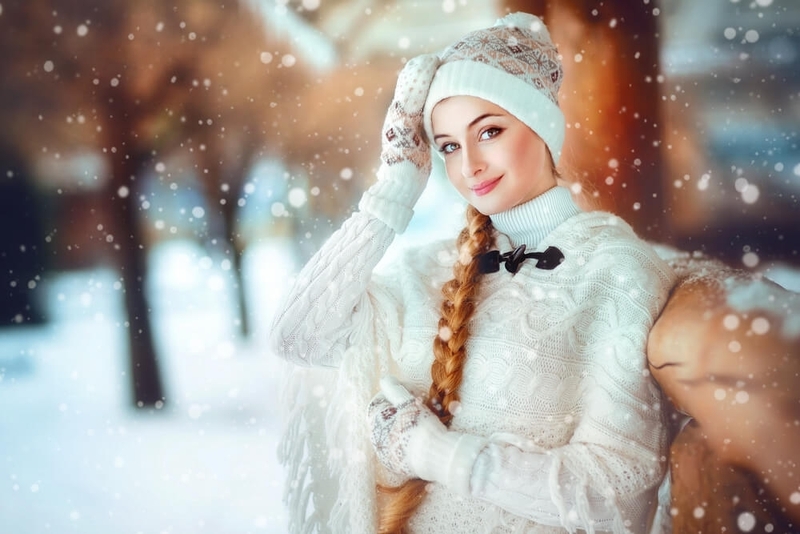 Try folding your scarf over a few times and then wrapping it around your head, so that it looks like a wider headband, and then tie it at the nape of your neck. 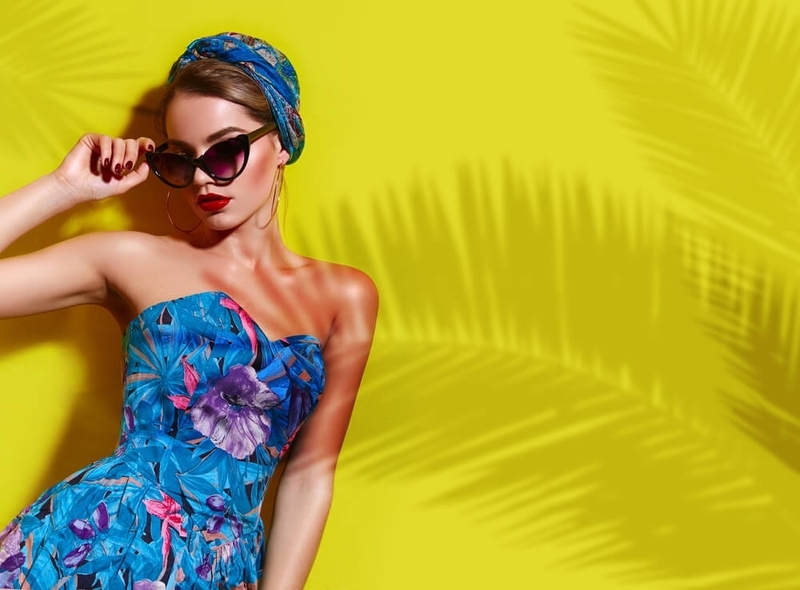 The slicked back wet look is always being seen on runways and red carpets, and this is because it is a style that always holds up so well, no matter what it may come up against. Thanks to the use of plenty of hair product! While you may not want to use this much product on a daily basis, this is still a great look if you need something extra special and fashion forward when the weather is not cooperating. Unlike many other hairstyles, the wet look works for just about every hair texture, making it a great one to experiment with, no matter what your hair may be like. Straight Hair – a wax is great for straight hair, as this is similar to a gel but thicker, and also not water-based, meaning that it will hold for longer. Rake this through your hair before applying some gel to the ends, as this will help to prevent fraying. Curly Hair – to begin with, blow dry your hair as straight as you can, before drenching your hair in a wax, while scrunching different sections to add some waves. Make sure that you do not use a gel, as these contain water and will take your hair from straight to curly so quickly. Another option that those with curly hair have is to use a leave-in conditioner. Follow this up with plenty of gel to hold your look in place. Just like with scarves, headbands are perfect for holding your hair in place, no matter what the weather may be like. Own plenty of headbands, but bored of wearing them? All you need to do is find a new and exciting style that you love! The half-up, half-down style is one that you have likely already been doing for years, but you do need to create it with a bit of extra care if you want it to hold up against a strong wind. This can also often be perceived as quite a childish hairstyle, so you need to ensure that you give it an elegant, mature finish if this is what you are after. Alternatively, play up the childlike factor by securing your hair with a ribbon. There are many different half-up, half-down styles out there, but a simple ponytail will always be a classic. Try to create a look that is not too polished, so that any flyaways that the winds pick up will not look too out of place. However, make sure that you keep your part clean, no matter where you choose to place it, as this will give the style a bit more sophistication. Like this style, but don’t like having an elastic band halfway down your head? Try grabbing a long loose strand and then wrapping this around the elastic band, hiding it from sight. 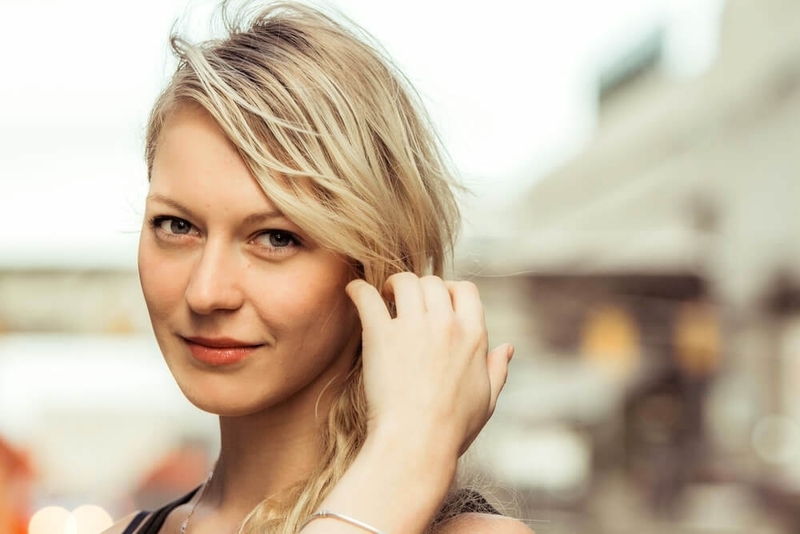 There is no denying that styling hair for a breezy day can be tricky, and you will likely need to use quite a bit of hairspray to complete your look. However, rather than arriving at your destination looking as though you are having a bad hair day, these styles will work with the weather, leaving you looking fresh and polished.